Few places in the world capture the magnitude and brutality of the slave trade like Maison des Esclaves on Gorée Island in Senegal, the first UNESCO World Heritage site in Africa. 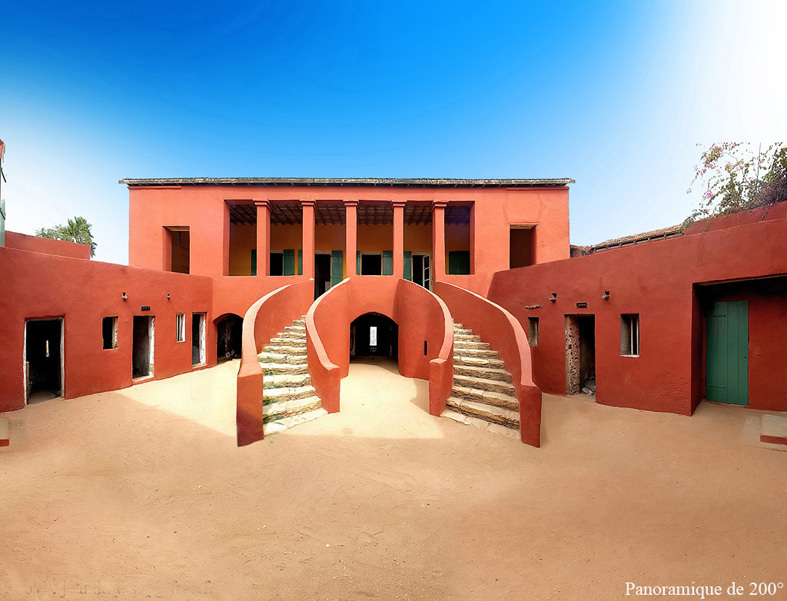 Built around 1776, Maison des Esclaves is a striking red house that overlooks the port of Dakar on the Atlantic Ocean and shares the history and narratives of the vast transatlantic slave trade. Since established as a museum in 1962, it has told personal stories of a private home and the role of its owners in both local business and the slave trade. It has welcomed thousands of visitors, including Nelson Mandela, Pope John Paul II, and Barack Obama. In 2015, the International Coalition of Sites of Conscience announced that it would oversee a revitalization of the museum with the support of the Senegalese government and the Ford Foundation. This support will ensure that the historic slave house realizes its potential to serve as a repository of knowledge on the transatlantic slave trade and a catalyst for dialogue on memory and key issues that confront humanity today. To read more about the progress of the revitalization project in 2019, visit this link.